The 18th Annual DSSKY Buddy Walk® was quite a celebration! When we spoke with Jane Tichenor, Director of DSSKY’s Buddy House, and Melissa Painter, Office Manager at the Buddy House, they described their walk as just that: “a celebration of individuals of all ages with Down syndrome, and it brings together different people from a large group of communities in South Central Kentucky”. Each year, this inspiring event, as well as all the fun activities at the walk, attracts many families and leaves them smiling and happy. Jane, who has been involved with DSSKY since 1996, has a daughter with Down syndrome and Melissa has a cousin with Down syndrome. These personal connections to the Down syndrome community have prompted the ladies to help grow the Buddy Walk® in Bowling Green. Jane has experienced 17 events, and she fondly remembers a moment from their second year when the walk was led by a bag piper. Melissa enjoys seeing families that they typically don’t see at other times of the year. 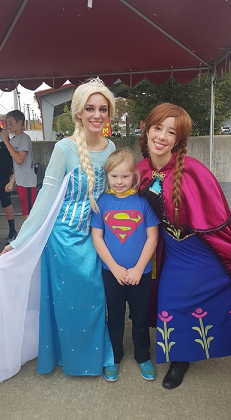 There were hours of entertainment at this year’s DSSKY Buddy Walk®! Inflatables, a DJ, a photo booth, carnival games, a magic show, and performances from the Rockerz Dance Team delighted all who attended the event. The theme of this year’s DSSKY Buddy Walk®, “I Can! Because You Believe”, was demonstrated in full force by all the love and support the community brings to this event. 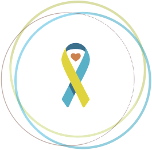 DSSKY has a goal of raising $70,000 for their 18th Annual Buddy Walk®. Funds raised from the walk help the organization provide valuable programming and support to its service area. 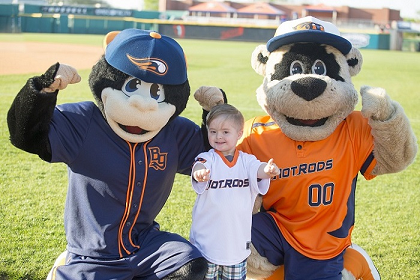 Programs through the Buddy House, partnerships with the university programs, therapies, Special Olympics, and support to their community (via newsletters and their volunteer program) are all funded through the Buddy Walk®.